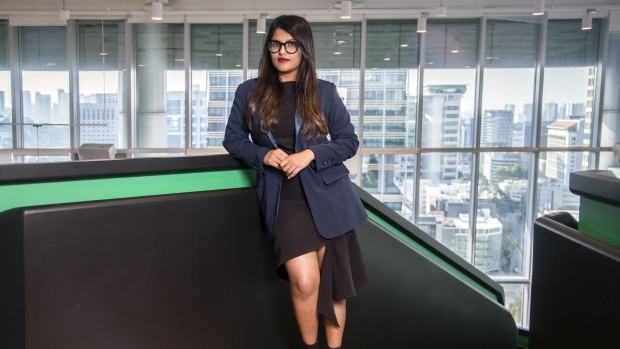 Zilingo Pte’s path to becoming a fashion platform with a valuation approaching $1 billion began in December 2014 when Ankiti Bose, then an analyst at Sequoia India, chatted with a neighbor at a house party in the Indian tech capital Bengaluru. Bose, then 23, and Dhruv Kapoor, a 24-year-old software engineer at gaming studio Kiwi Inc., quickly realized they had complementary skills and similar ambitions to build their own startup. Four months later they had quit their jobs, and each had put in their $30,000 in savings to found Zilingo, an online platform that allows small merchants in Southeast Asia to build scale. The other thing working in its favour, in Bose’s own words, is her cross-cultural sensitivity. The co-founder says that sensitivity and empathy when dealing with people across cultures, be it techies in Bengaluru, fashion gurus in Singapore or conservative Muslim traders in Indonesia, has helped her in taking Zilingo to such great heights.The duo figured out that unlike the Indian market with portals like Flipkart, Amazon India, Limeroad and Voonik, there were no players in the South Asian market, which is when they decided to start Zilingo and launched the site in 2015. By 2016, Ankiti Bose and Dhruv Kapoor realised that there was untapped opportunity in helping small merchants scale up and compete with global giants like Zara through a B2B (business-to-business) platform.By September 2017, Zilingo was shipping to eight countries and has seller hubs in Hong Kong, Korea, Vietnam, Cambodia, Indonesia and Thailand, adding 5,000 new merchants in the previous twelve months. “Personally, a lot of men have been very helpful to me in my in my journey. But of course, if you have more women in venure capital and more female entrepreneurs, then things will get a lot better,” said Bose.